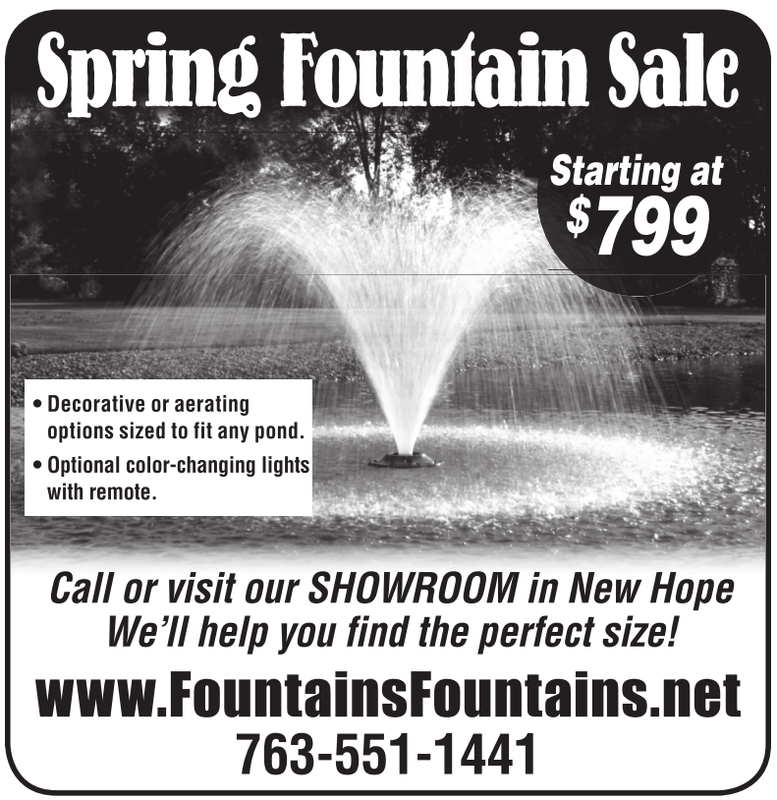 • Decorative or aerating options sized to fit any pond. • Optional color-changing lights with remote. Call or visit our SHOWROOM in New Hope We’ll help you find the perfect size!